Spain is one of the oldest countries in Europe as well as one of the most popular travel and tourism destinations in the world. Located in southwestern Europe and bordering the Mediterranean Sea, the Bay of Biscay, the North Atlantic Ocean, and the Pyrenees Mountains, Spain spans 505,000 miles². The country enjoys nearly 5,000 km of coastline, making it a favorite beachside vacation destination for European and international travelers year-round. Spain was a leading world empire in the 16th and 17th centuries; a leader in exploration, military might, and colonization endeavors. Spain claimed neutrality during both world wars and was able to transition to a democratic form of government following the death of Francisco Franco in the mid-1970s. Since 1986, when Spain joined the European Union, she has enjoyed a growing economy and the reputation as a leader of human rights and freedom. Spain is composed of two main ethnic groups: those of Mediterranean and Nordic descendent who make up the nearly 48 million inhabitants that live in rural and urban areas throughout Spain. The official and main language of Spain is Castilian Spanish, although small numbers of the country’s inhabitants speak dialects including Catalan, Galacian, and Basque. Nearly 94% of Spaniards practice the Roman Catholic faith. Spain’s climate is relatively temperate, with hot summers in the interior and more moderate temperatures along the coastline. In the wintertime, Spain experiences cold winters in the interior and cooler and more moderate temperatures along the coastline. The Pyrenees Mountains in the north receive more extreme temperature fluctuations than the plateaus of the interior. Alhambra – this World Heritage Site is the origin of dozens of legends and home to lavish palaces and irrigated gardens. The Red Castle at Alhambra transports visitors back to the 14th century to view a wide range of ancient churches, courtyards, palaces, and ruins. Another favorite location is the Catedral de Santiago de Compostela located in Santiago. The cathedral is one of the most beautiful constructions composed of Romanesque, Gothic, and baroque features that took centuries to build. 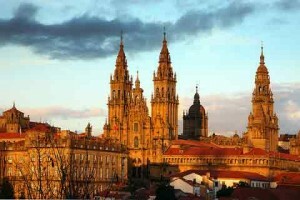 Try hiking the Compostela Trail-Pyrenees, also known as the “Way of St. James”. The trail takes hikers through mountain villages and the historic trail is marked by statues, crosses, and grain silos. The hike also takes visitors through the old city of Pamplona and past a variety of historical highlights and landmarks. You can spend days exploring Barcelona and its many attractions. Dine your way through traditional tapes or climb Mount Montuïic, site of the 1992 Olympic Games. Enjoy the Romanesque architecture of the beautiful churches in Barcelona such as the Saint Paul del Camp or Santa Maria del Pi (designated as a National Heritage Site in 1931). With over 683,000 km of open roadway, Spain offers beautiful landscape, landmarks, and scenic views by car. When renting a car in Spain, you’ll need a driver’s license that is valid and recognized by the EEC. Some rental car companies also have age limits, which are typically between the ages of 21 and 70. Always check with the rental car company regarding their policies prior to hire. Rental cars should contain a number of mandatory items that include insurance documents, the rental contract, a minimum of one reflective jacket, one spare set of light bulbs and two country approved hazard triangles. If you wear glasses, you’ll also need to carry a spare set inside the vehicle at all times. It’s important to review driving regulations in Spain before hiring a car to ensure safe and trouble-free travels. Children under the age of 12 are not allowed to sit in the front seat. Consult the car rental agency regarding seatbelt laws. Be aware that the legal limit for alcohol consumption is 0.5%, and if you get caught driving under the influence in Spain, you may be fined or receive more severe punishment up to and including prison sentence and a loss of driving license. On the spot fines are common in Spain, although it is important to request a receipt from the officer that collects the fine. Obey speed limits throughout Spain which are posted at regular intervals throughout urban and rural areas. 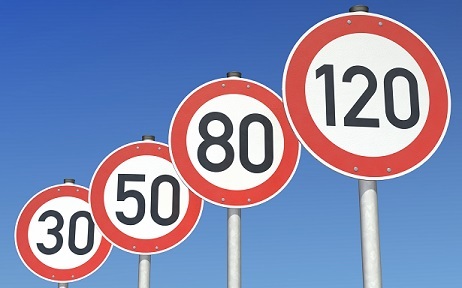 Speed limits are designated for urban areas, the motorway (Autopista) dual carriage ways, and roads designated N (Nacional) or CN (CarreteraNacional). Obey parking restrictions in urban and rural areas. In some locations, red and blue parking restrictions signs marked 1 through 15 designate when parking is permitted on one side of the street or the other during the first half of the month, and signs marked by 16 and 31 are designated for parking areas during the second half of the month. Parking in blue zones in town and city centers requires a parking ticket which can be obtained from blue ticket machines located throughout Blue zone areas. Many towns and cities throughout Spain have erected underground or multi-story car parks for greater convenience, but parking rates will vary depending on location.